The Dryden Art program works to instill both art skills and an appreciation of art as it affects the students’ daily lives. We firmly believe that all students have creative potential and with appropriate opportunities that potential can be realized. 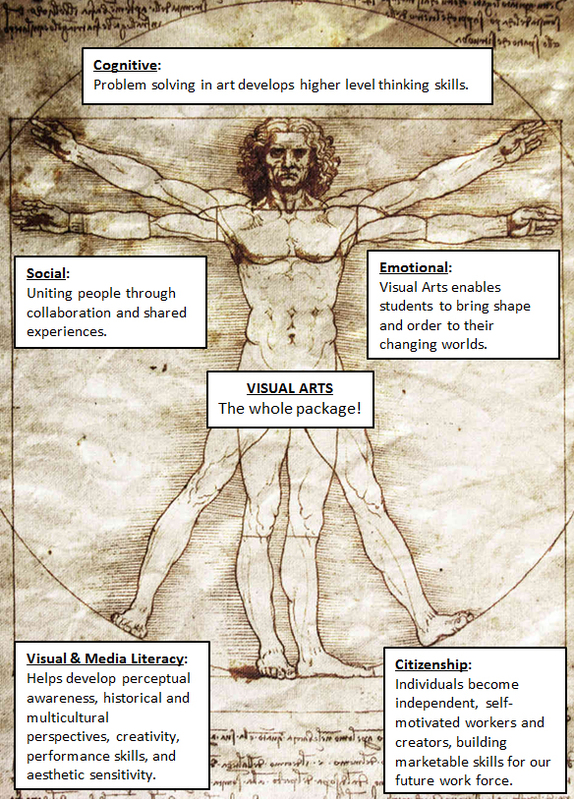 Our visual arts program is committed to engaging students in the entire art process… from inception, to creation, and reflection. By providing experiences in problem solving, decision making, risk-taking and divergent thinking, students are prepared for college and career readiness while expanding their visual perception and intellectual skills to better understand the world in which they live. BUILDING (above) / TEACHER (below). I finally had an opportunity to swing by the Dryden Café this morning to view the art display and it is lovely! Thank you for sharing! We are very fortunate to have such creative teachers for our children. Thank you, Angela! We’re so glad you had the chance to see our work.